Demographic Question Examples. Name, Gender and Age. Demographic Questions gives you the powerful ability to obtain addition valuable information from your panelists. Name commonly setup as an open-ended comment, 1 row, max 50 characters. 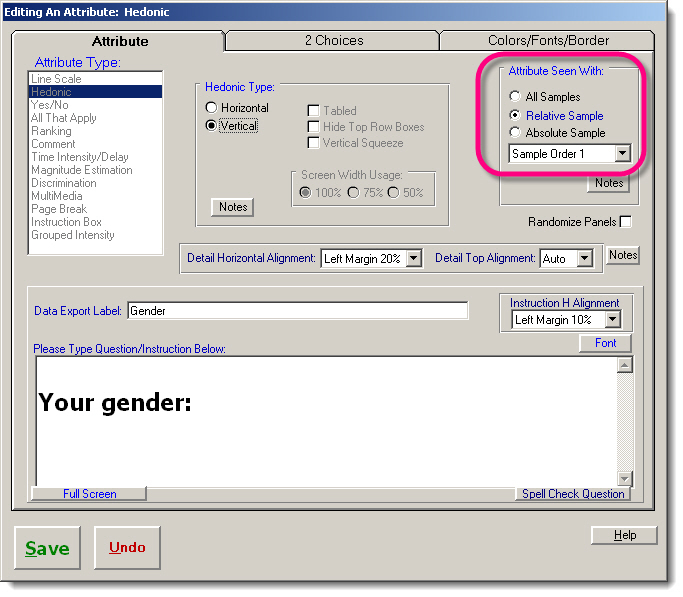 Gender commonly set up as a two-point hedonic with 2 categories Female or Male. 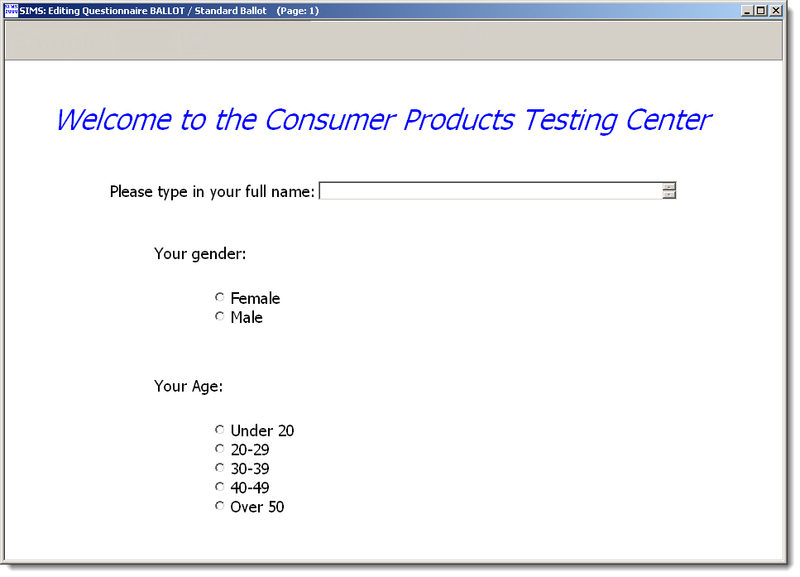 such as (1) Under 20, (2) 20-29, (3) 30-39, (4) 40-49, (5) Over 50.
demographic questions as "Seen With Sample Order 1" or "Seen with Last Sample". You don't want these to be "Seen With All Samples". For Reports, see the SIMS Raw Data Export Reports and Frequency Reports.